The Big 870 AM, 96.3 and 94.7 FM, Newstalk WTIM and People’s Bank and Trust in Taylorville have announced their Taylorville High School students of the month for March. The program recognizes one outstanding THS student from each of the four classes each month. The Big 870 AM, 96.3 and 94.7 FM, Newstalk WTIM, People’s Bank and Trust in Taylorville March students of the month are senior Ida Syvertsen, junior Chase Spinner, sophomore Zane Neville, and freshman Audrianna Lyons. 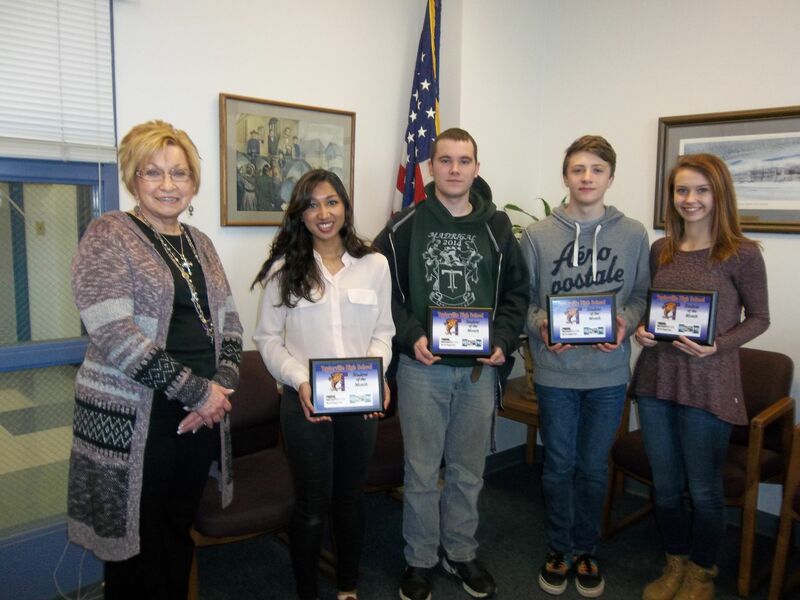 Judy Prasun of People’s Bank and Trust in Taylorville was in attendance when the students received their plaques.